Choose from our library of courses. Unlimited access to all the courses and resources. 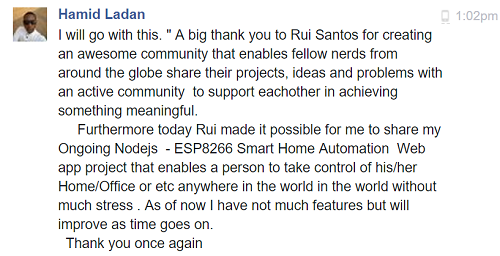 Since establishing in 2013, Random Nerd Tutorials has become a trusted place to learn electronics and programming online. RNT has more than 100 free tutorials published online that anyone can follow. Electronics and programming can be hard to learn. 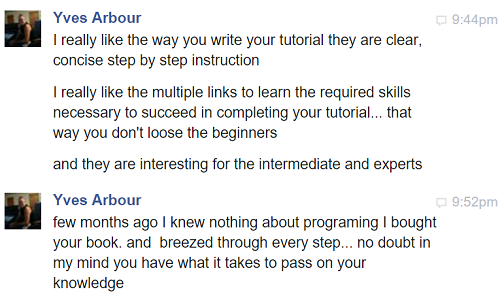 You don’t need to have previous knowledge to follow our courses. You just need to watch & make the projects. The RNT Lab learning platform can be accessed from anywhere in the world with any device that has a web browser (laptop, tablet or smartphone). Sign up today and get instant access to all our courses and eBooks. We add new tutorials every week, so get started today! Enroll in our Electronics Courses today! 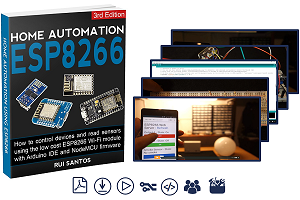 This course is a step-by-step guide designed to help you get started with the ESP8266 WiFi module. 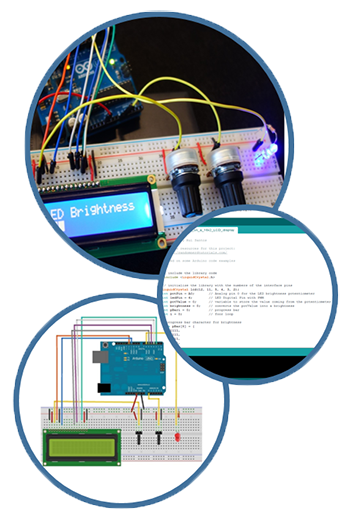 The course includes 20 step-by-step projects and covers programming with Arduino IDE and with LUA (NodeMCU firmware). 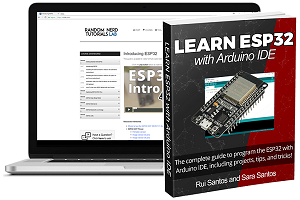 Learn Raspberry Pi, ESP8266, Arduino and Node-RED. 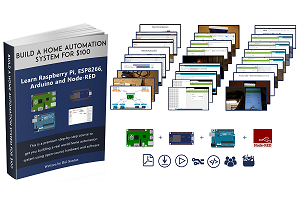 This is a premium step-by-step course to get you building a real world home automation system using open-source hardware and software. 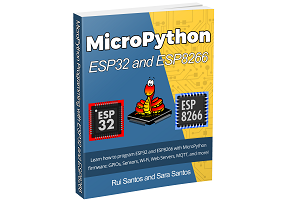 Learn how to program the ESP32 and ESP8266 with MicroPython, a re-implementation of Python 3 programming language targeted for microcontrollers. 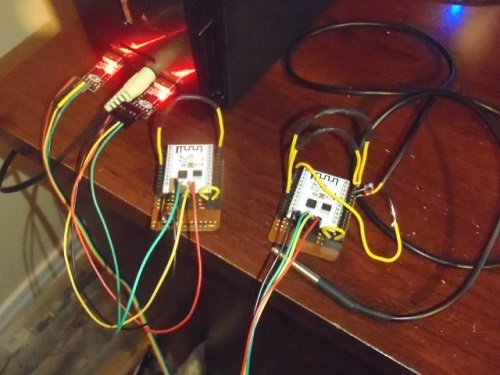 This is one of the easiest ways to program your ESP boards! 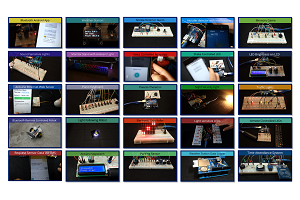 This Arduino course is a compilation of 25 projects with different levels of difficulty that you can build by following clear step-by-step instructions with schematics and downloadable code (Arduino getting started guide included). 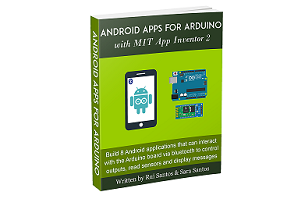 Learn how to build Android Apps that interact with the Arduino via Bluetooth using MIT APP Inventor 2 software. 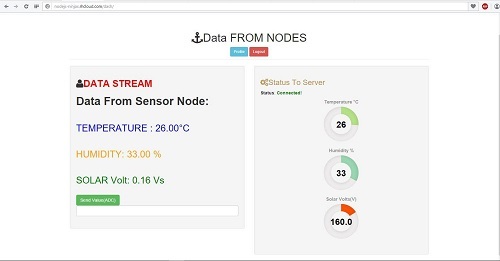 Build 8 Android applications to control outputs, get sensor readings, and more (Arduino getting started guide included). 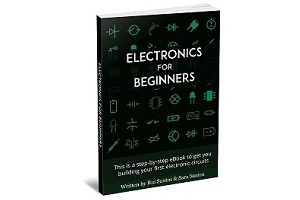 Electronics For Beginners lays out the essentials of electricity and electronics with practical examples.  You'll learn basic concepts like identifying different electronics components, how to read schematics, and build simple circuits. We all get stumped at one point or another while programming or building a circuit I know how frustrating it can be to get stuck on the same problem for hours or even days. When you sign up, you get access to the Q&A Forum where you can get help directly from me (that’s a huge help for beginners). 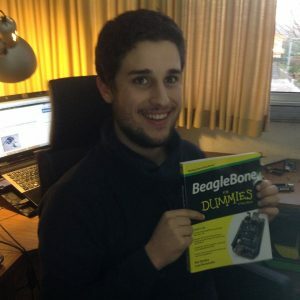 I’m Rui Santos, founder of the Random Nerd Tutorials blog and author of BeagleBone For Dummies. Feel free to read them and see if you like my hands-on approach to learn electronics with step-by-step instructions that anyone can follow. Where Do I Sign Up & How Much Does It Cost? If you join the RNT Lab and you don’t receive what was promised, I don’t want your money. Seriously, that’s why I offer a 30 days money back guarantee. Email me here and I will promptly refund all your money. No questions, no hassles – it’s that simple! Do you have questions? Click here to get in touch and I will do my best to answer them.